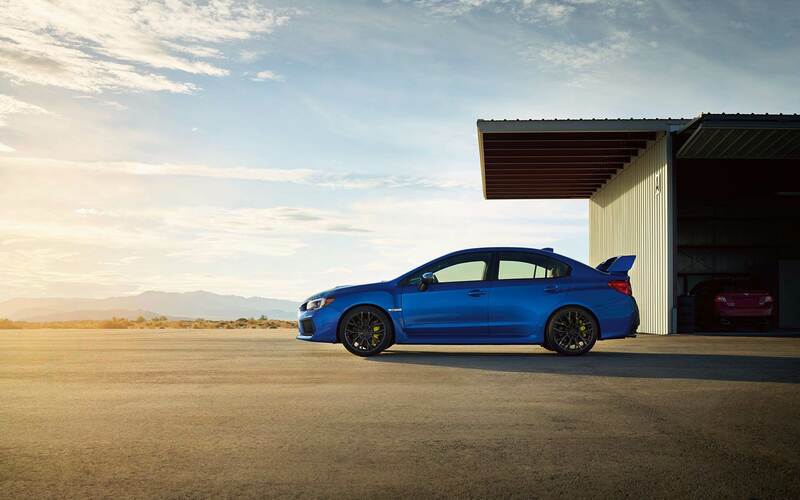 For race-inspired performance and excitement in an efficient and reliable daily driver, car shoppers should look to the 2018 Subaru WRX. 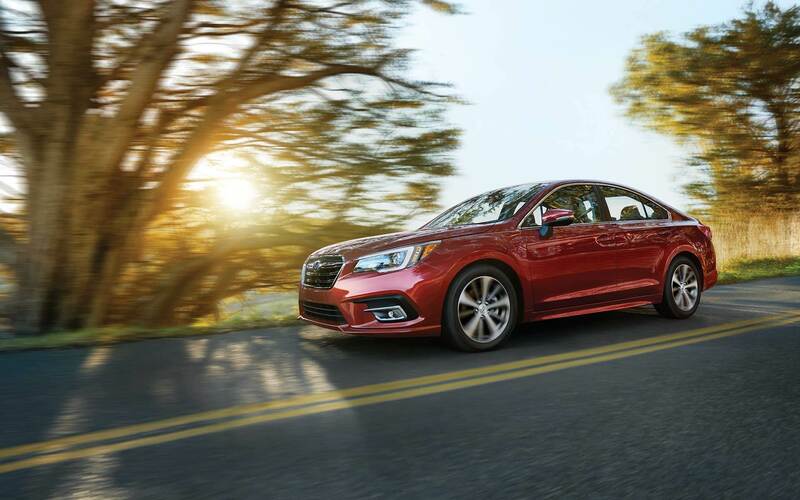 The sedan combines sporty design and powerful engine capabilities with the all-wheel drive dependability that drivers count on in Subaru vehicles. 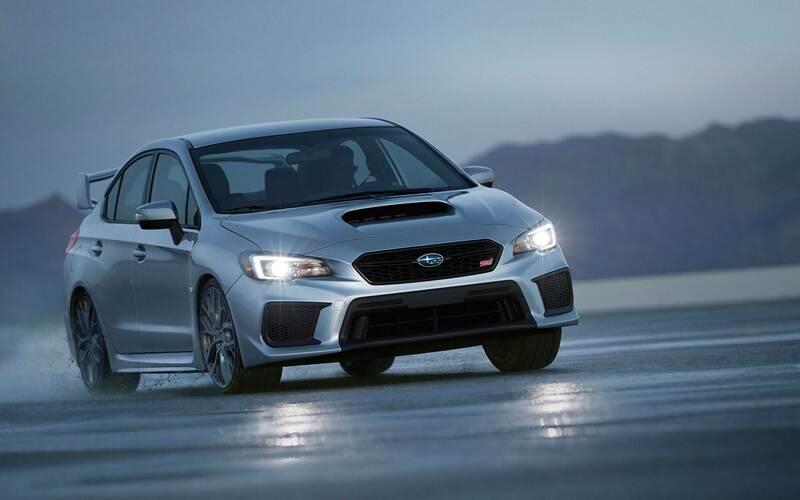 In its most recent model year, the WRX reduces road noise with thicker glass, seals and insulation, and updates suspension for a smoother, more comfortable drive, whether it's the morning commute or a lap around the track. What kind of power and handling can I expect from the 2018 Subaru WRX? 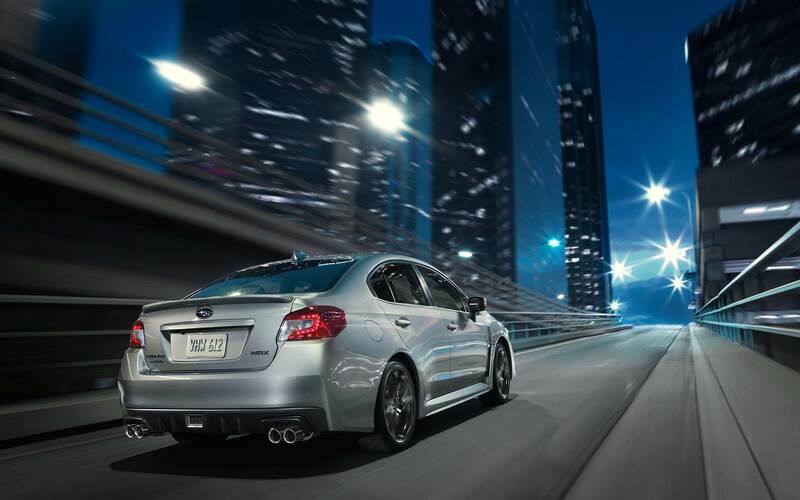 Two turbocharged engines form the WRX's powertrain lineup. Driving the base WRX, the Premium and the Limited is a 2.0-liter BOXER 4-cylinder, which puts out 268 horsepower and 258 lb-ft of torque. A twin scroll turbocharger with an intercooler maximises the 2.0L engine's power. 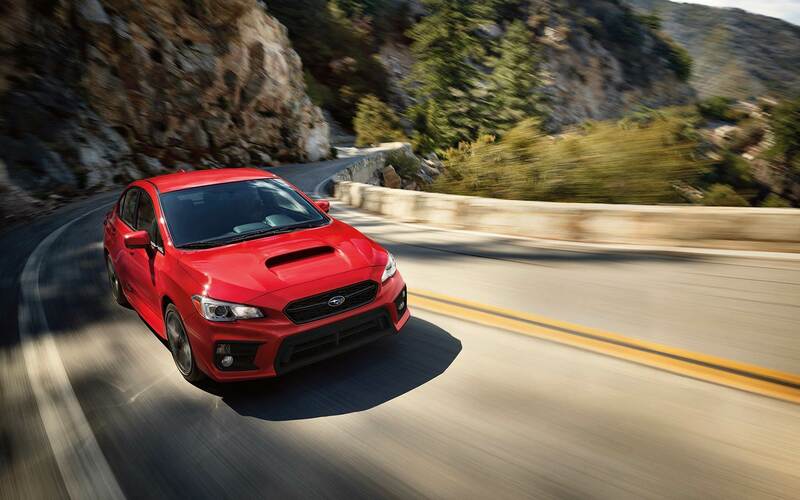 This engine maximizes the WRX's fuel economy, achieving up to 27 miles per gallon on the highway when paired with the standard 6-speed manual transmission. The Premium and Limited trims are also available with a Sport Lineartronic transmission with paddle shifters. 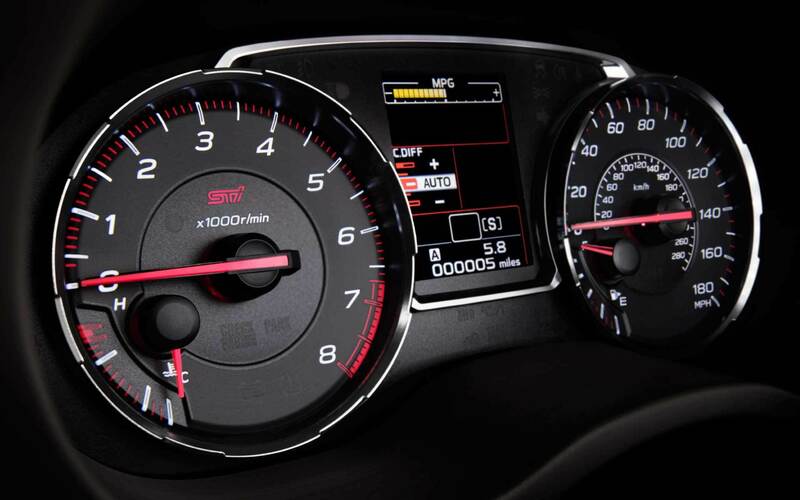 The beefier STI and STI Limited models are equipped with a 2.5-liter BOXER 4-cylinder, producing 305 horsepower and 290 lb-ft of torque. 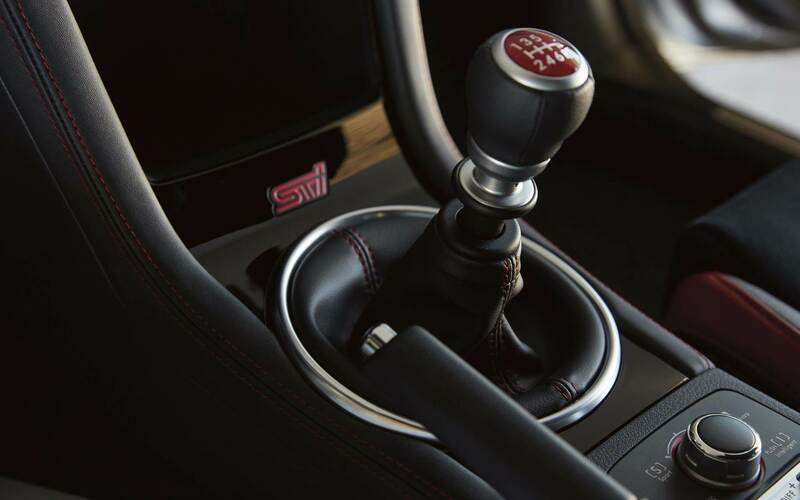 Performance-inspired suspension tuning helps balance out the STI's engine power, while a fully synchronized close-ratio 6-speed manual transmission allows drivers to take full advantage of the STI's driving potential. 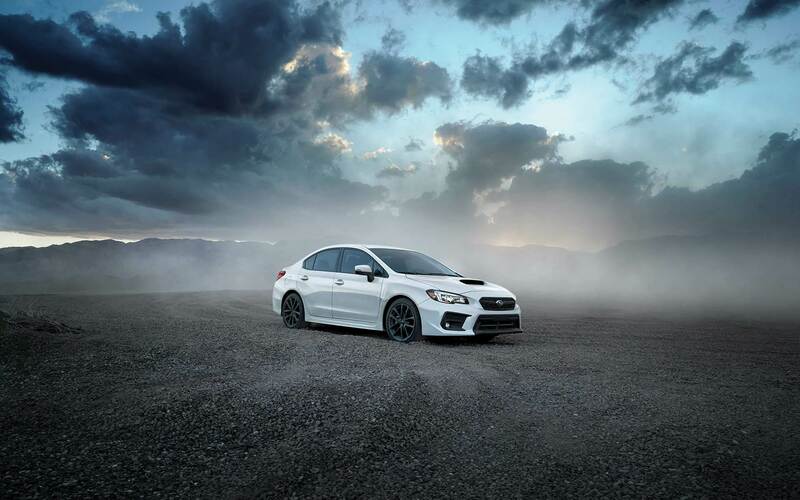 All WRX and WRX STI models come equipped with Subaru Symmetrical All-Wheel Drive for deft and confident navigation of difficult driving conditions, a feature which is unique and appealing for someone who enjoys the excitement of a performance sedan but may encounter dirt and gravel roads or unsavory weather. Standard active torque vectoring, vehicle dynamics control and traction control system all work to provide superior traction and stability. What is the WRX's interior design like? 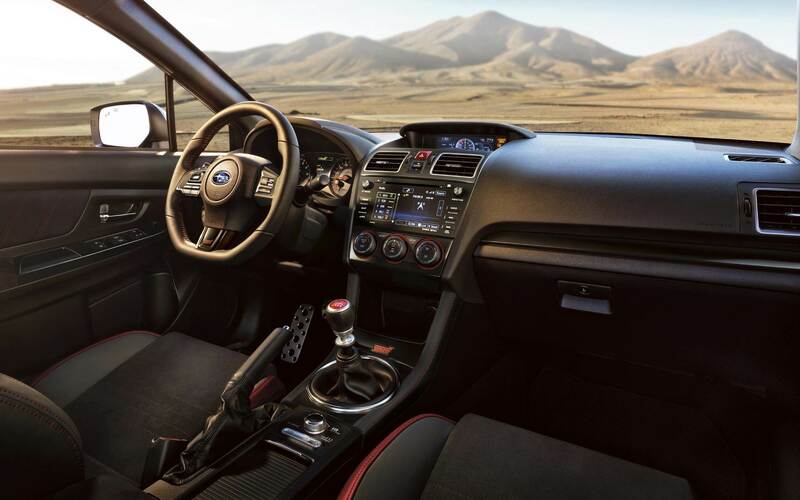 The WRX's interior is outfitted with an array of comfort and convenience features, and offers a spacious and versatile area for passengers and cargo. The already generous 12-cubic-foot trunk can be extended by folding down part or all of the 60/40-split rear seats to fit lengthy or larger cargo, and standard roof rack brackets allow for additional storage on top of the vehicle. Don't have a ton of cargo to lug around? In that case, invite your friends and family to stretch out and enjoy up to 96.6 cubic feet of passenger volume, the most passenger volume of any all-wheel drive vehicle in the segment. The WRX's roofline and seat design make it surprisingly easy to get in and out of, a standout feature among sports-inspired cars. 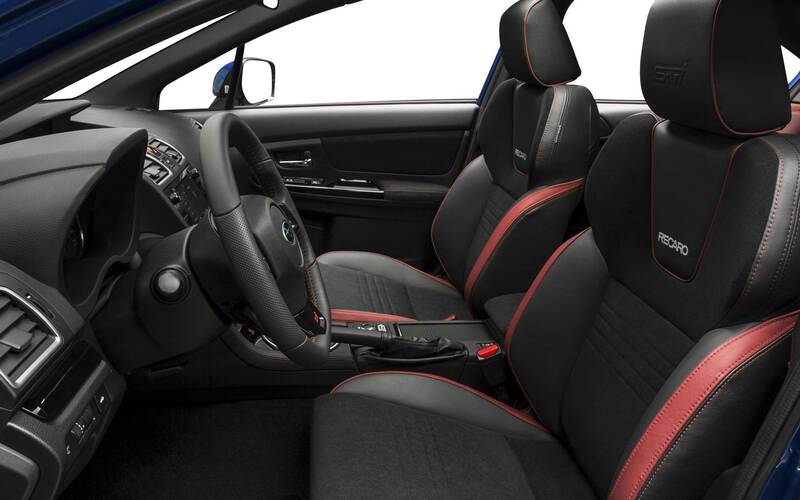 Among standard and available features for the WRX's interior are premium cloth, leather and suede upholstery; heated and power front seats; a power-tilt/sliding-glass moonroof; keyless entry and ignition and more. Standard is a six-speaker audio system, with an optional upgrade to a premium nine-speaker Harman Kardon system. What kind of technology features are available with the 2018 WRX? The 2018 WRX is outfitted with a wide array of standard and available technology features for convenience, entertainment and safety. 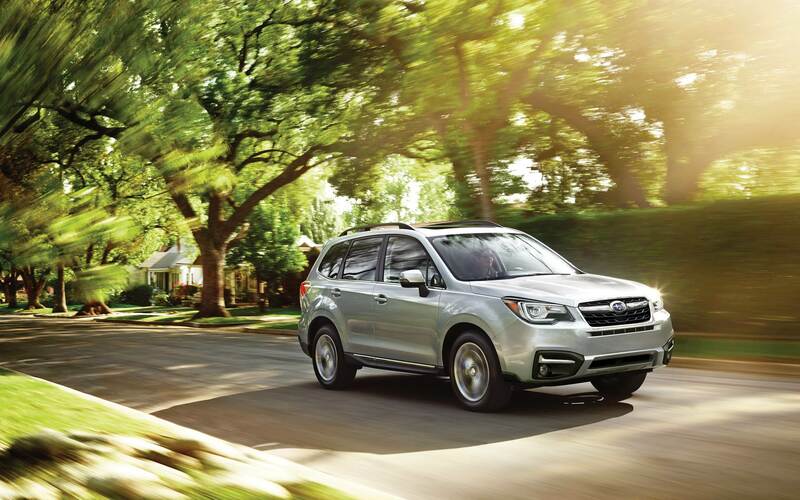 Available Subaru STARLINK technology can be accessed through touchscreen interfaces, and provides access to news, weather, navigation, food, music, podcasts and more. Apple CarPlay and Android Auto allow for smartphone integration with standard Bluetooth connectivity. Hands-free talk, text and other phone-related features are available through STARLINK voice command, as well as hands-free navigation and climate control. Entertainment can be accessed through integrated apps like Pandora, iHeart Radio, Stitcher and Aha, as well as through SiriusXM satellite radio. Yelp access lets you locate food, lodging and more while on the go, and navigation through Magellan, TomTom and Glympse can take you anywhere you need to go. On the safety end of things, standard safety features (including a rearview camera) can be enhanced with available STARLINK Safety and Security features such as Automatic Collision Notification, Stolen Vehicle Recovery, and Remote Services, as well as available EyeSight Driver Assist Technology, with traffic monitoring, adaptive cruise control and more. Sporty excitement meets dependable driving and comfortable utility in the 2018 Subaru WRX. 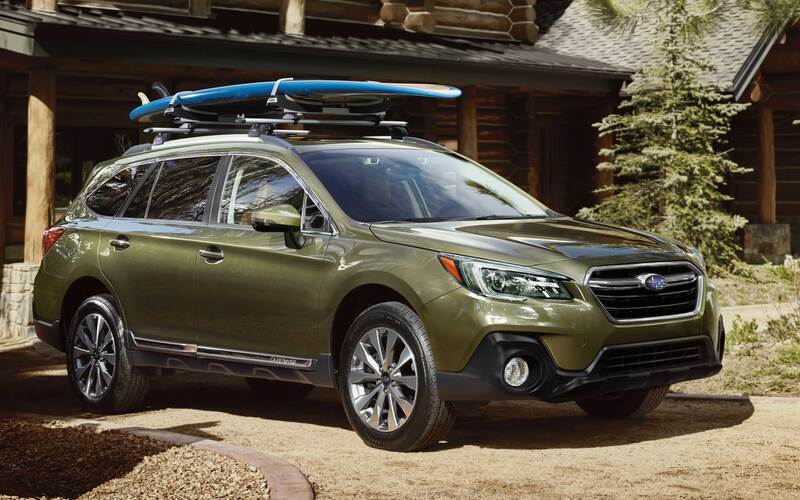 The all-wheel drive capability that drivers look for in Subaru sedans and SUVs provides superior traction for the sport-inspired vehicle, and makes it a perfect choice for drivers who don't want to sacrifice year-long drivability or style and excitement. Have it all, and hit the road in the 2018 Subaru WRX.